Did you ever plan an RV trip to a remote area and wonder how long the LP gas in your LP cylinders or LP tank would last? If so there is a way there is a way to roughly calculate propane usage. 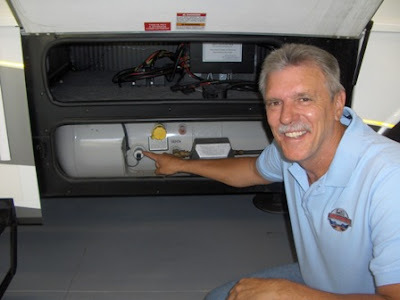 The first piece of the puzzle is knowing how much propane is in your RV cylinders or tank when full. 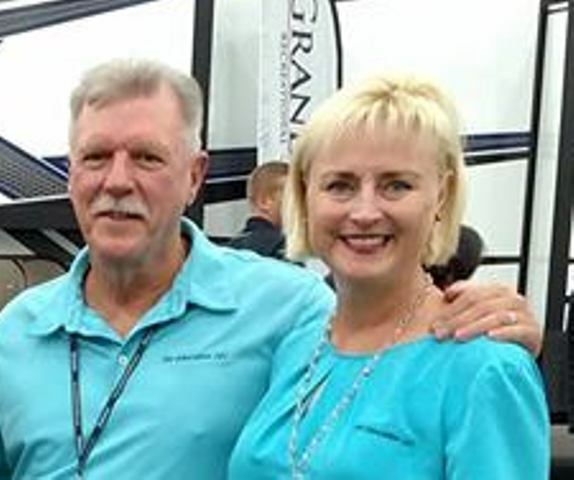 Remember an RV propane cylinder or tank is full at 80% of its capacity to allow for expansion. Wait until your cylinder or tank is nearly empty and the next time you have it filled ask the attendant how much it holds. The next step is to multiply your propane container capacity using one of these formulas, (gallons or pounds), to determine the container BTU capacity. BTUs per gallon equal 91,502. BTUs per pound equal 21,548. Now, divide your container BTU capacity by the total BTU demand of the LP gas appliances you plan to use. BTU appliance demand can normally be found on the appliance itself, or in the appliance owner’s manual. This will give you an idea of how long you can expect your LP gas to last. For example: If your RV propane container holds 14 gallons of LP gas when it’s full, you multiply 14 X 91,502. The result is 1,281,028. Now divide this figure by the total BTU demand of any LP gas appliances you will be using. Let’s say, for the sake of an example, the total BTU demand will be 43,800 BTUs. In this case you would have approximately 29 hours of use before running out of LP gas. However, keep in mind that the amount of LP gas in the container and varying temperatures will affect these calculations too. This is especially true in cold weather. At temperatures below zero degrees the per hour container BTU capacity will be reduced by 50% or more. Calculating propane usage can give you a general idea of how long you can use your LP gas fired appliances before needing to find a propane filling station. 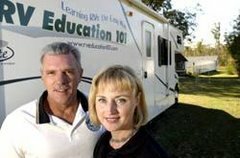 All of our RV walk through training DVD's cover the LP gas system and much more.